We were delighted to hear that Max the bear has been featured in an art exhibition. Max was caught in the wild as a cub and was blinded to ensure he would become dependent on humans. He spent the first 10 years of his life sleeping in a 4 metre square cage at night and dragged around a tourist resort by day. The illegal owner would charge tourists to have a photo taken with Max and to ensure he made no sudden movements or scare the tourists away would sedate Max by feeding him painkillers and beer. In the early stages of the bear sanctuary being built, undercover investigators visited Max and took photos of him chained to railings. The owner was furious, aggressive and threating when they refused to pay and the sanctuary vowed to rescue Max as soon as possible. 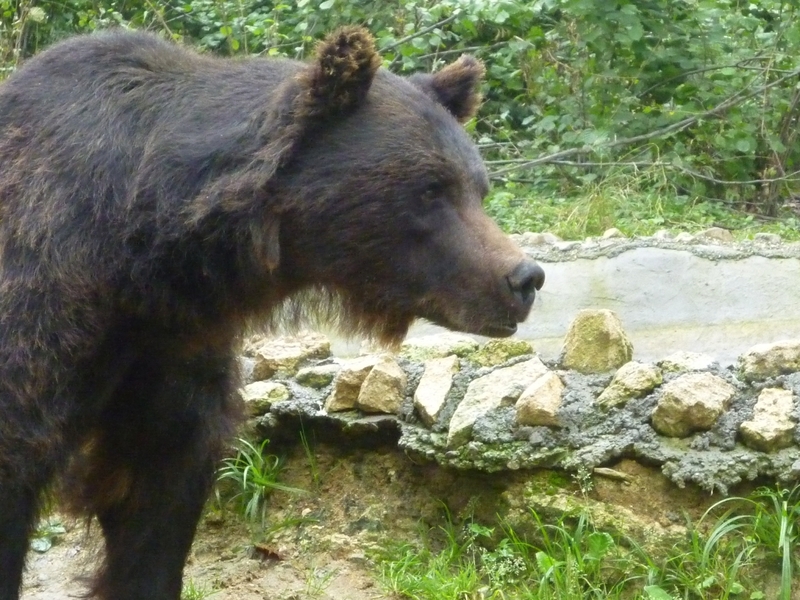 In the summer of 2006 the first forest enclosure was ready and with backing from the Romania government the rescue mission for Max begun…together, the police and National Guard of the Ministry of Environment went to legally confiscate Max. Max was welcomed to the bear sanctuary and received special care and attention to accommodate his health conditions, including his blindness. In a quarantined area he enjoyed a new healthy diet where he put on weight and became comfortable with his new surroundings. However, due to his past and conditions he would sit by the fence waiting to be fed like a child. The sanctuary wanted more for Max but were not sure it would be possible based on his lack of sight. In 2008 specialists were invited to the sanctuary to asses Max’s eyes and discuss the possibility to restore his site. However, this was no easy task as the sanctuary had not yet finished its veterinary surgery and this was the first ever eye operation undertaken on a bear in Romania…but with the help of a veterinary surgery in Brasov and Dr. David Donaldson (head of specialist veterinary ophthalmology in the UK), they were able to operate. Despite all efforts, the operation was not successful as the ultrasound showed that Max’s eyes have detached retinas, most likely caused by massive trauma, such as heavy blows to head…there was nothing they could do to save his site. Despite this sad news the sanctuary was committed to ensuring Max would live the rest of his life in peace and provided him with a small forest of his own including a shallow water pool, a den he could rest and hibernate and over an acre of trees and shrubs. Despite a nervous start he soon adapted to his exciting and free life enjoying his new home through heightened senses including touch, hearing and smell. We are delighted to see how far Max has come over the years and so was an artist who visited the sanctuary. 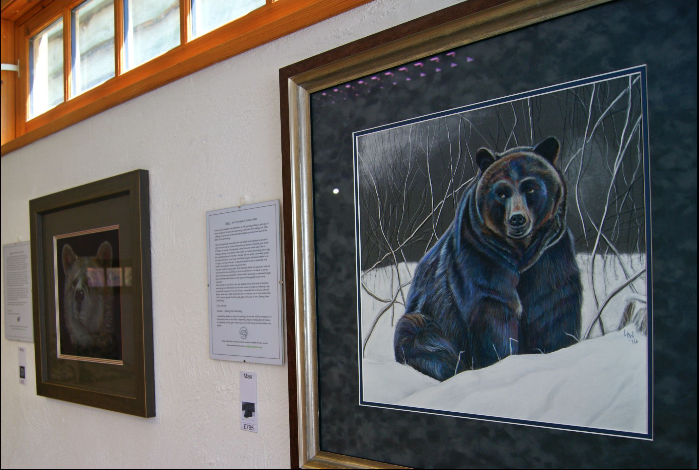 She was touched by Max’s story and decided to dedicate an art exhibition to Max and 7 other bears to promote awareness and share their stories. She hopes to reach the hearts of those who admire her work and create more voices to rise against the cruelty of animals.